Trust me, it’s been so long that I’d be astonished if anyone even remembered I exist! But a combination of work, real life and just lack of creative oomph have all played their part in my absence, in varying degrees of fault on any given day. But this weekend, there were snowdrops bursting through the barren ground, sheep in the field opposite, and I was able to hang my laundry out on the washing line, so I’m really hoping spring is finally here, and heralding the arrival of some creativity! To celebrate, I thought I’d ease myself back in with something quick and easy……but it never quite works out that way, does it? (Or is that just me?!) I bought a massively reduced (yay!) set of sewing and knitting books a few weeks ago at a bookstore closing down sale (not yay). There were a couple of patterns for flowers, so they seemed an appropriate choice. So I did the first one, and was a bit…ehhh, maybe. So I tried a different one. And another one. And then foolishly started looking on the Internet to see if i could find one that didn’t require stitching on a picot row. Because I’m not a fan of stitching in knitting, other than you know, seams. I don’t know why. It’s just a thing. I was looking to see if I could find some kind of knitted in the round one, or…well, I’m not sure. 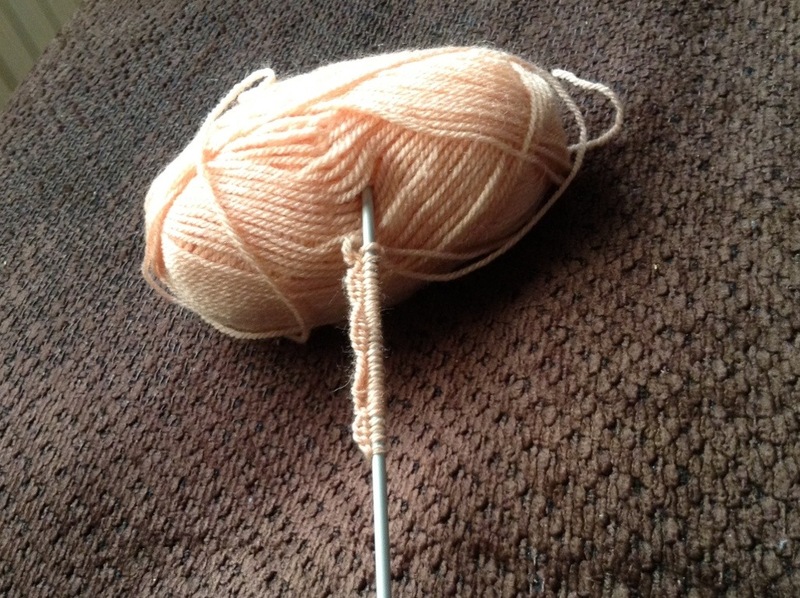 I have found one that’s more petals sewn to a central point, which I’ve started, maybe that’s a better idea. Or it could just be that I’ll do what I always end up doing; taking bits from many to make one. So here’s the Before Sewing…. And I promise I’ll bring you the After Sewing ones shortly…. After all, this was just meant to be a warm-up, right? 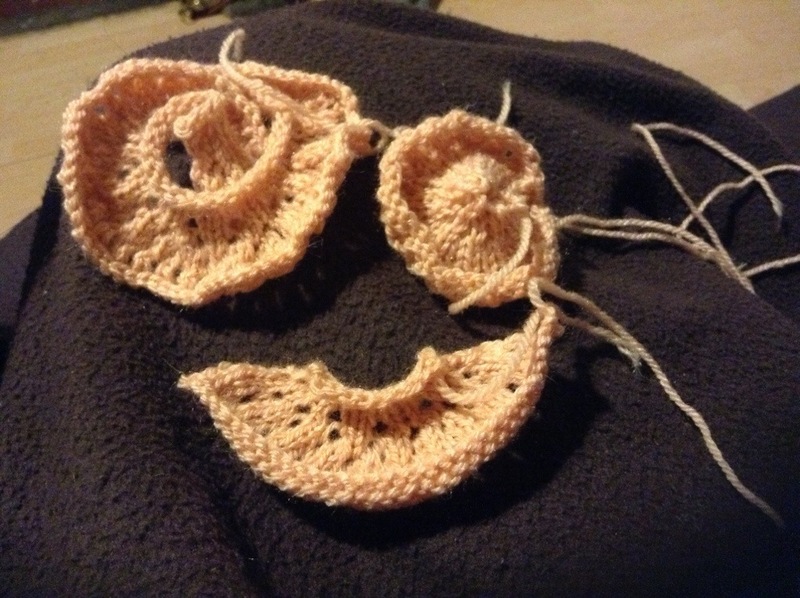 This entry was posted in knitting and tagged knitting.